Duke has hired former MullenLowe global planning director Sandya Piyasena as strategy partner and promoted business director Kate Tweed to managing partner. 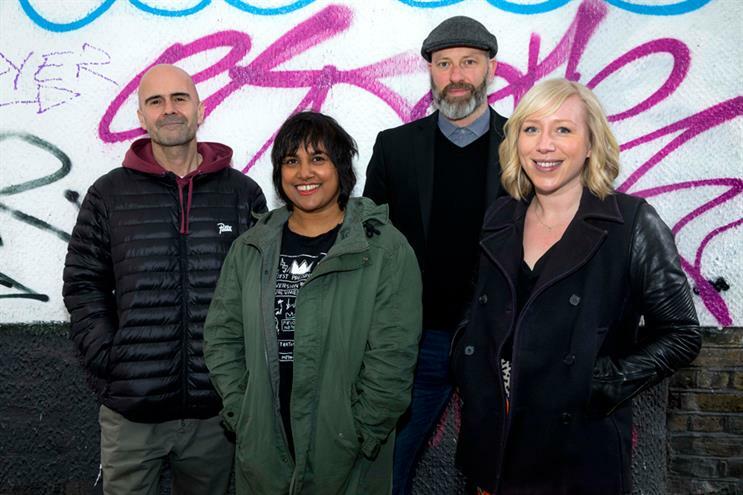 The appointments restore the agency’s senior numbers to four after the departure of chief strategy officer Steve Stokes and joint executive creative director Jo Tanner last November. With the other executive creative director Mark Howard staying on to oversee creative in a solo role, there is now gender equality at the top of the agency, said chief executive and founder Neil Hughston. The new spirit of equality will extend to the four partners being paid the same and having joint responsibility, added Hughston. Piyasena, who has worked at DKLW, VCCP and MullenLowe and headed accounts including Morrisons and Unilever’s Tresemme, was introduced to the agency by Tweed, who joined last May. "The chemical balance between all of us is fantastic," Hughston said, who praised Tweed’s contribution and her focus on the issue of diversity in adland. "We have a firm view on the clients we want to go after and Sandya matches the fire in Mark’s belly creatively." Hughston reiterated that Duke’s mission lies in doing work that stands out from the "blancmange mountain" of most current advertising, a stance that was a factor in the departure of Stokes and Tanner, who favoured a less traditional approach and criticised "the single-minded pursuit of the 30-second TV ad". Piyasena, who started in her new role last week, said she was going to "unashamedly champion our new equal gender, equal pay partnership". "I’m proud to be part of a start-up that not only fights brand indifference in an ad-skipping, content cluttered age but, is also willing to confront our own industry’s indifference towards diversity. "Cindy Gallop’s truth bomb about advertising being a ‘closed loop of white guys talking to white guys’ struck a real chord. With Duke, I can be part of the change that I want to see for other women."